Located in Jacksonville, Florida, the Jacksonville Jaguars are a professional National Football League(NFL) team. They are currently members of the South Division of the American Football Conference (AFC). Along with the Carolina Panthers, the Jaguars joined the NFL as 1995 expansion teams. Jacksonville is one of three teams that have never been able to play in either a Super Bowl or any other NFL Championship. The Houston Texans and the New Orleans Saints are the other two teams. For decades, Jacksonville had been reputed as a good football town, hospitable for both college and pro football. The Gator Bowl, an annual civic highlight traditionally accompanied by parties, ceremonies, parades and other events leading up to the game is hosted successfully by the city every year. Jacksonville is also home popular annual game between the University of Georgia and University of Florida. The Gator Bowl stadium was built out of steel trusses during the Great Depression. Short-lived teams in both the World Football League (Jacksonville Sharks/Express) and the United States Football League (Jacksonville Bulls) and the occasional NFL exhibition game are hosted by the stadium. Jacksonville also has the honor of hosting the American Football League All Star Game in 1967 and 1968. An attempt was made by the city to lure the Baltimore Colts thousands of Jacksonville citizens urged Baltimore's owner to move the team there. In the late 1980s, City leaders also attempted to get the Houston Oilers to move to Jacksonville at one point. The Oilers were attempted to lure by creating a "Jacksonville Oilers" banner and designation of a specific section of the Gator Bowl as a non-alcohol, family section for proposed home games. In 1991, the NFL decided to expand the league by two teams, originally in time for the 1993 season.With the addition of Seattle and Tampa Bay, the league had not expanded since the 1976 season. As the sport was growing, the NFL felt the time was right to add additional franchises. For the two new teams, Five cities were ultimately chosen as finalists: Charlotte, North Carolina; St. Louis, Missouri; Baltimore, Maryland; Memphis, Tennessee; and Jacksonville. From the beginning, Charlotte and St. Louis were considered the heavy favorites to win, with Baltimore also a strong possibility. In 1995, the Jacksonville Jaguars along with the Carolina Panthers entered the NFL as the first expansion teams in almost 20 years. The inaugural season of the Jaguars was finished with a record of 4-12. Many of the players who would lead Jacksonville to early successes began establishing themselves during this inaugural season. They include quarterback Mark Brunell (obtained in a trade with Green Bay), offensive lineman Tony Boselli (drafted with the 2nd pick overall in the 1995 NFL Draft) running back James Stewart (also drafted in 1995), and wide receiver Jimmy Smith (signed as a free agent). The Jaguars were successful in winning the AFC Central Division in December 1998. They also have the distinction of becoming the first NFL expansion team to make the playoffs three times in its first four seasons of play. In the Wild Card Round, the Jaguars won their very first playoff game at home against the New England Patriots 25-10. However. in the Divisional Round, they were beat by the New York Jets at Giants Stadium 34-24. Jacksonville looked like a team on the rise coming off of their 12-4 season. Entering the season, they were considered a playoff contender. But the team was plagued by injuries . Reggie Hayward, Greg Jones, Donovin Darius, Byron Leftwich, and Mike Peterson all suffered season-ending injuries. Marcus Stroud and Fred Taylor also faced injuries during the season. The team started off 2-0, defeating the Dallas Cowboys and shutting out the defending champs Pittsburgh Steelers. But the next two games were lost by the team. They suffered embarrassing losses to the Houston Texans over the course of the season. With a 8-8 record, they missed the playoffs but there were some positives. Maurice Jones-Drew, the Jaguars' second round draft pick, was one of the most surprising rookie sensations. He averaged 5.7 yards a carry, the highest in the league, and tied for 3rd in the NFL with 16 touchdowns. The average Jacksonville Jaguars tickets price will cost you between $40 and $470, if you are looking for the cheapest seats then catch the event being held at the Mercedes-Benz Stadium Parking Lots, Atlanta on 22/12/2019. The average ticket will cost you the highest on 03/11/2019 at the Wembley Stadium, London. Minimum get in price is for Jacksonville Jaguars tickets is $19 for the event being held at the Paul Brown Stadium Parking Lots, Cincinnati on 20/10/2019 , there are some venues that have a much higher get in price, for instance the cheapest seats at the Wembley Stadium, London on 03/11/2019 will set you back $313. I watched a tv ad about half priced jag dolphin tickets dec13 last night. Wondering when will those tickets go on sale? Well, we are an independent ticket-selling network and bring our own offers on Jacksonville Jaguars Tickets. We do have half-priced or even close to free tickets in our Distressed Inventory section. Please view it for your tickets. Is there a Meet & Greet with any of discount jacksonville jaguars tickets? There are no guaranteed Meet & Greets included with any of the discount Jacksonville Jaguars tickets. If we get an additional inventory where a M&G is guaranteed, we will state so explicitly. Do you offer discount jaguars tickets? Yes, you can buy Jacksonville Jaguars Tickets from us at the most amazing discounted prices in the market. Visit the pricing section of our website in detail and book your tickets now. Im interested in cheap jaguar tickets but unfamiliar with online purchasing. can i order them over the phone? Yes, you can. For customers convenience, we have listed our telephone number, 866-861-4784 on our website. Please book your Jacksonville Jaguars Tickets over the phone now. Do you have jacksonville jaguar tickets cheap prices available on your website? Yes, we do have cheap priced jacksonville jaguars Tickets available on our website. Look through our page for details and you can have your cheap tickets from there. Is there going to be any Fall season discount on cheap jaguar tickts? No, we do not offer any specific seasonal discount on our website, you can get Jacksonville Jaguars Tickets from us at discounted rates anyway. Why aren't Texans at Jaguars tickets numbered? Jacksonville jaguars Tickets are not numbered with us because the holding broker does not allow us to give away that information to customers. Do you sell acksonville jaguars tickets cheap priced here on your website? Yes, we do sell Jacksonville Jaguars Tickets at cheap prices on our website. Look through our page for details and order right away! When do jaguar tickets cheap go on sale? The discounted Jacksonville Jaguars Tickets have already gone up for sale, check out the price list and place the order today! Is the online purchase of cheap jags tickets safe? Yes, we are certified by trusted authorities and allow the exchange of Jacksonville Jaguars Tickets in a secure environment. How many jacksonville jaguars tickets cheap are left in the inventory? There are still plenty of Jacksonville Jaguars Tickets remaining in our inventory. Check out and place your order any time! 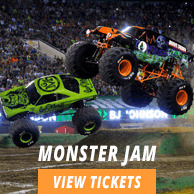 What is the best place to buy jacksonville jag tickets? You can have Jacksonville Jaguars Tickets from our website where you can get them at the best rates and also at discounts. Are seat numbers written over Titans at Jaguars tickets? Jacksonville jaguars Tickets are not numbered with us as the holding brokers do not allow us that information. Are there any discount jaguar tickets? We have a large number of Jacksonville Jaguars tickets available on discount prices, check them out now! Can you tell me how much are the cheapest jacksonville jaguars tickets? You can visit the Jacksonville Jaguars Tickets page on our website to know the price list and discounts. Will jacksonville jaguar cheap tickets prices be reduced any more sometime in the future? No, the Jacksonville Jaguars Tickets prices will remain as they are and will not be reduced any further. guys i need 10 cheap jaguar tickets, Where can i get some? Right here my friend. You can get your desired Jaguars tickets at cheap rates from ticketluck. Thanks. Whats the best place to buy jacksonville jaguars tickets? Why ticketluck of course! It is the number 1 place to get all your Jacksonville Jaguars tickets from. I am hoping to get cheap cleveland browns houston texans tickets with no fees. Pls help! Fees are applied to the acquisition cost for all purchases including Cleveland Browns Houston Tickets. I want to buy jaguar tickets for cheap prices. Can you help me get them? Yes, sure. Get Jacksonville Jaguars Tickets from our website and you will get them at cheap rates. Are cheap jacksonville jaguars tickets too hard to get? Cheap Jacksonville Jaguars are now on sale for you, grab the tickets before we run out of stocks. Can I get discount sports tickets jacksonville? Sure, check out our discounts on Jacksonville Jaguars Tickets and place your order with us today! How much are the cheap jaguars tickets? You can check out the price list from the Jacksonville Jaguars Tickets page on our website. How much are the handling charges for Ravens at Jaguars tickets? You can get your required details from the page of jacksonville jaguars Tickets. Are there any discount jacksonville jaguars tickets? Have a taste of our amazing discount on Jacksonville Jaguars tickets now! What mode of payment is used for cheap jacksonville jaguar tickets? You will be charged for Jacksonville Jaguars Tickets through credit card. When do jaguars tickets go on sale? Jacksonville Jaguars tickets are up for grabs now!